We have a wide range of products that will bring light into your life and help you overcome the Winter Blues and other problems arising from a lack of light. 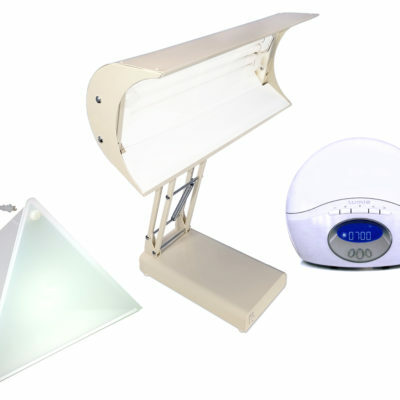 Our lamps can achieve light levels comparable to outdoor lighting in the spring. Our growth has been due to our uncompromising customer service, and exceptional product quality. All our bright light units are manufactured in North America. We have a wide range of products that will bring light into your life and help you overcome the Winter Blues and other problems arising from a lack of light. Thousands of clinicians around the world recommend our units. We have participated in the annual meeting of American Psychiatric Association, the American Psychological Association, and the SLTBR (Society for Light Treatment and Biological Rhythms) conferences for the past 20 years. 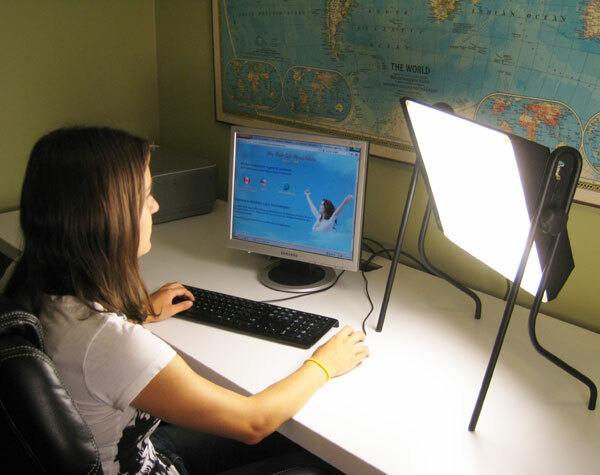 Get one of our 10,000 Lux light therapy units to have a happy and brighter winter. I have used my Northern Light Boxelite for years now. The only thing that I can say is that if you have the blues, depression, SAD get this product and use it diligently. It can make all the difference in how you feel. I started using it and within a few days use, I felt so much better. Whenever it is gray outside, I turn it on and within minutes my mood changes. I have bought one for my children and as presents for friends. Thank you Northern Lights for this wonderful technology. It really works. Great quality. Been using for 5 plus years. Between this Luxor lamp, and my discovery of Premier League Football on TV (soccer), my Fall and Winter months are considerably better than the years prior; the effect on mind, body and spirit just short of “eureka!” I turn on the Luxor on my standing desk first thing in the morning, and get a sense of well-being not unlike sitting on my sailboat in August. For me, this is the answer. After moving from sunny Southern California to New England several years ago, I developed Seasonal Affective Disorder. My doctor recommended daily light therapy. I now use the desk lamp every morning from October through March and I truly feel an improvement in my mood and energy level during these dark months. I bought this model 3-4 years ago after considerable research, using my MD’s recommendations. The quality and reliability are stellar. I also find the unit more attractive than most. 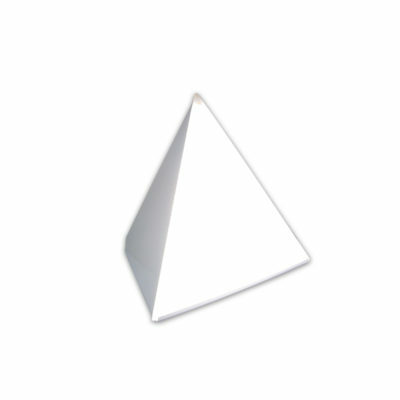 I am now looking at getting a light-box for my office, as I sit in an alcove with no natural light. Once again, I am compelled to buy this model. There are cheaper models and way more expensive models – I recommend this one without reservation. Quite happy with this lamp. Sturdy construction, ready to use right out of the box, lights up the room and has helped keep the December blahs at bay. So far I’m happy and would recommend this as a quality product that lives up to the manufacturer’s description. I really love this product. It has been a notable amazing help in my mood in the fall and winter. When I forget to use it for a few days my energy and emotional levels start to go down again, but after about a week of regular use things get better!! Expensive but one of the best purchases I’ve made in my life. Only downside or suggestion for perfection would be for it to have a wall mount that allowed it to be pointing downwards towards my face, as this would be maximum exposure to this happiness sunshine light. I bought this light five years ago as directed by my doctor. I cannot tell you what a difference it has made in my mood. Since it is surrounded by tall trees, my house is dark, so I use my lamp all year long. If I miss a morning I am sluggish all day. 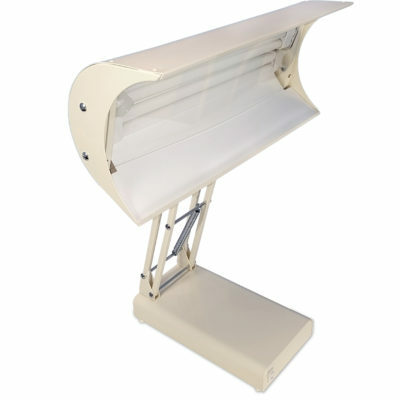 I would recommend this light because it is well designed, sturdy, and attractive. In fact, I am going to buy the floor lamp model for the den and keep this one in my home office. Hi, our BOXelite unit is equipped with a ballast that will work on 220V 50Hz. You just need an adaptor that will fit to your outlet. Thank you for contacting us, please feel free to ask any other questions. Firstly, I would like to thank you for your service. Secondly thank you for the nice review. I’m glad it has been helpful for you. We’re always interested to hear the different uses for our products. So far this light box has done a good job at keeping the SAD away. I just got it back out, I used it last winter and it kept my mood pretty stable. Since I don’t want to take a chance on the depression coming back, I’ve started using it earlier this year. I know it is pricey, however my insurance reimbursed me for the cost of mine. 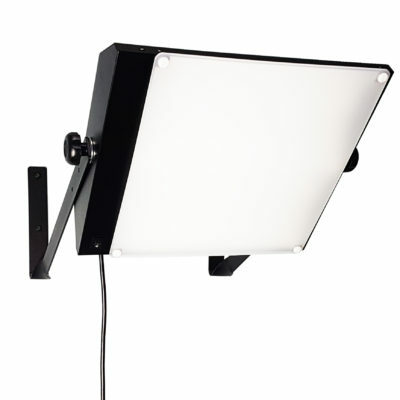 Have been using this lamp seasonally and am very satisfied with the quality, the construction, reliability and results. I researched many products and this was not the cheapest available. I recommend it without reservation. This unit is great. We use it at the army reserve center. I used it for 2 years at work and eventually bought one for myself to use. I recommend this unit if you are sitting all day with no window access. Unit is very portable and lite. Breaks down and stores in case very well. Only have had it a few weeks, but it is a quality product. I would buy it again. It is a little on the expensive side. Use this everyday and still works the way it should. I did a lot of research before buying this model and I felt this was the best choice for me. My doctor suggested this unit and I would recommend it to anyone that sits at a desk.